Pennsylvania’s marijuana DUI law could be about to see some much needed reform. State Rep. Sheryl Delozier (R-Cumberland) is working on a bill that would exempt medical marijuana patients from an overbearing law that prevents them from ever being allowed to drive, according to The Inquirer. The move comes as Pennsylvania Department of Health is in the process of implementing the state’s medical marijuana program. PA Code Title 75, Sec. 3802, as it currently stands, states: “An individual may not drive, operate or be in actual physical control of the movement of a vehicle … (if) there is in the individual’s blood any amount of a Schedule I controlled substance.” Just as under the federal Controlled Substances Act, Pennsylvania also has cannabis listed under their own Controlled Substance, Drug, Device and Cosmetic Act as a Schedule I narcotic, right alongside heroin, peyote, mescaline and the like.To call the current law far-reaching is a wild understatement. Unlike many other substances, marijuana can stay in a person’s blood for up to 15 days, which means anyone who consumes cannabis in any quantity would be barred from driving in Pennsylvania for about two weeks. Of course it’s absurd to believe that because the drug is simply in one’s blood that they remain high for the entire duration. It has been documented that the effects of cannabis will last roughly a few hours, depending on the quantity consumed, how it was ingested, and the tolerance level of the person. Edibles, for example, might still be having an effect six hours later. Meanwhile, the effects of inhaling could wear off in as little as one hour, according to Herb, though even that can vary between smoking and vaping. Driving while under the influence to the point of impairment is never ok, and such laws should be enforced in all states. By nature marijuana is different than alcohol, however, in that it is difficult to test for on the spot. This inexact science has made lawmakers overly cautious, leading to blanket laws like this one that try to hide behind the classification of a whole group of drugs to strip the privileges of swaths of people rather than develop a proper testing system. Though it’s true cannabis levels cannot be easily determined, impairment tests can still be administered, which is really the issue at hand. 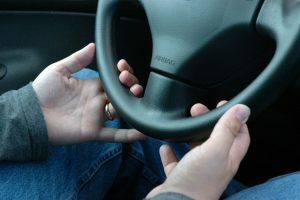 If a police officer believes a person should not be driving a vehicle, it’s likely because they have demonstrated some sign of impairment. California Highway Patrol train their officers in a 12-step examination, including field sobriety tests, blood pressure, and pulse. Just like alcohol, there are levels of cannabis that can be present without impairment, but it will take more fine tuning to be able to screen for and determine these levels. The inexact measurements law enforcement officials are using make it essential that you speak with our experienced Riverside marijuana DUI lawyers should you find yourself facing criminal charges. Free and loose standards for enforcement are not fair to responsible marijuana users, and you deserve the best defense possible. Don’t let a judge or jury decide your fate without one of our trusted attorneys by your side.